There are two great lessons I have learned from reiteration in movies. The first is that nice guys finish last and the second is that there will eventually be a zombie uprising. The current state of the world, rife with distrust of every institution from our own government to pharmaceutical corporations to society in general, assists this line of thinking. While nothing can be done to help the nice guys, we can aid in their preparation for the oncoming zombie horde. In a zombie-eat-man world, the best armed are the most likely to survive, given they’re on target. No one survives a zombie apocalypse through wanton use of ammunition. Every shot counts. Whether they would shamble, crawl, run or just stand there craving the brains they no longer possess, zombies could make for excellent target practice, moral issues aside, but only the most foolish and hopeful would-be survivors wait until game day to begin training. That’s why we carry zombie range targets! They are available in both human and animal forms, as until the day comes, no one can be prepared against too many types of zombies. They may only be stationary targets, but the gore and terror of these targets is as real as it gets. Don’t let the fear freeze your trigger finger. 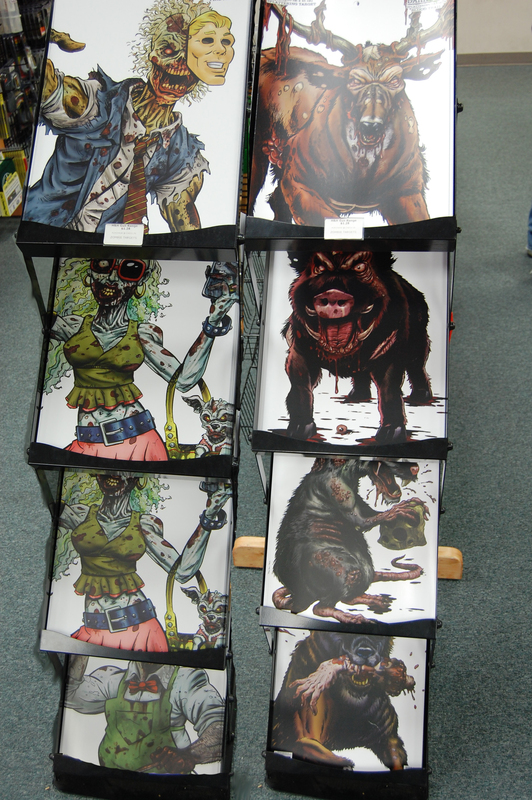 These zombie targets are here to help you prepare for the real thing, just in case the day comes, so you will be ready! In closing, I ask that you remember Rule #2 when the real zombies arrive, the Double Tap, because even though you think it’s dead (technically it was before you shot it), one more makes 100% sure, and in a world full of zombies, there’s no room for mistakes.